Keep guest checks, receipts and other papers organized and secure with the Winco CS-1 Check Spindle 6"H. Featuring a sturdy round footed base and a single 6-inch post, this attractive check spindle will prevent the loss of vital paperwork. 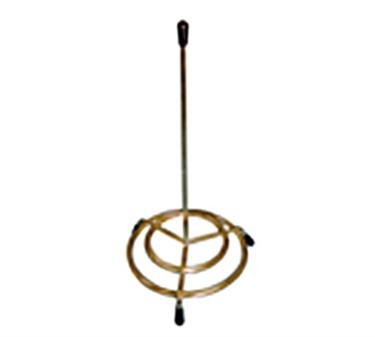 Ideal for restaurants, diners, coffee shops and more, this gold-colored check spindle has small plastic covers on its three feet to protect your surfaces. Winco BM-1812K Black Service Mat, 18'' x 12"